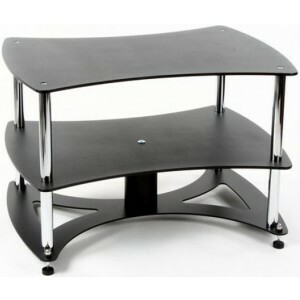 Custom Design FS TT2 Turntable Stand is the 2 shelf version of the FS TT1 offering additional space for your equipment. Custom Design FS TT2 turntable support, designed and manufactured exclusively by the company is the two-shelf version of the FS TT1. You can also opt for the acoustic version of this stand which is supplied with 2 iRAPs 430mm x 300mm as standard. The hand made and hand finished 6.5mm Acoustic Aluminium shelves provide specialist hi-fi equipment with total isolation by absorbing unwanted resonance vibration and converting the energy form. The acoustic aluminium and steel products are part of the new, unique and pioneering approach taken to maximise the potential of hi-fi equipment. Custom Design's philosophy is to achieve business by product design and service success. Innovation is an integral part of their culture and one of the main reasons for the continued success they've had over the past 28 years. The engineering principle applied absorbs unwanted resonance, maximising isolation and sound performance, a serious upgrade to the usual option of hi-fi support stand design. The system works on the principle of constrained layer dampening, which is two sheets of the same material with the formation found to be the most efficient ratio, bonded together with the patented polymer system. The polymers viscoelastic properties converts kinetic energy to negligible heat. By preventing and removing excessive resonance from the supports structure, the performance of your equipment will be enhanced. Sound performance is more efficient with purer clarity, impressive separation and an inky blackness and greater control to the bass. The 4 corner satellite supports are manufactured from 25mm ERW BS EN 10305-3 steel tubes available in Chrome, Brushed Chrome or Black finish. Combined with the handmade 6.5mm Acoustic Aluminium shelves, it provides a lightweight, acoustically inert hi-fi support table with just the correct amount of mechanical feedback to provide the dynamic range with headroom. The acoustic improvements are substantial compared with traditional manufacturing methods and materials. Designed as a traditional turntable support, the FS TT2 hi-fi support table has a visual impact as well as an impressive performance. The FS TT2 base platform provides a solid, rigid foundation with the standard FS range 76mm ERW BS EN 10305-3 centre support column which can be mass loaded if required to enhance bass performance with more control. The extended footprint provides total stability and with a custom service available, all sizes and weights of hi-fi equipment can be accommodated. 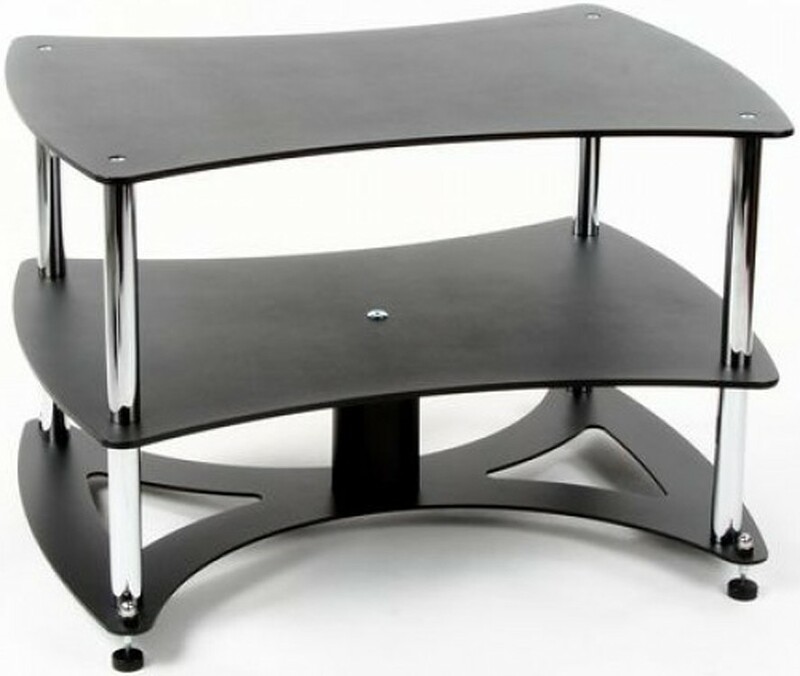 The FS TT 2 stands provide a unique, acoustically inert platform for customers who demand and require a more exciting, dynamic performance from their hi-fi furniture support table and equipment.